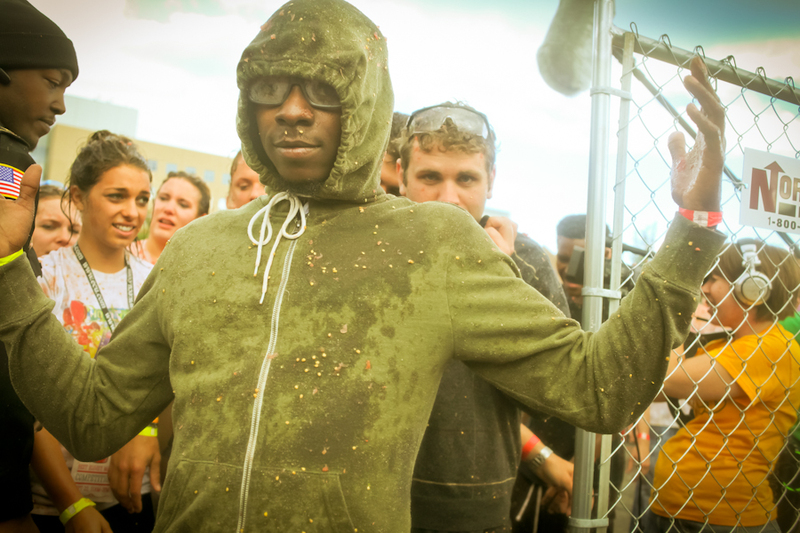 Honestly, this is one of the most fun events in MKE. 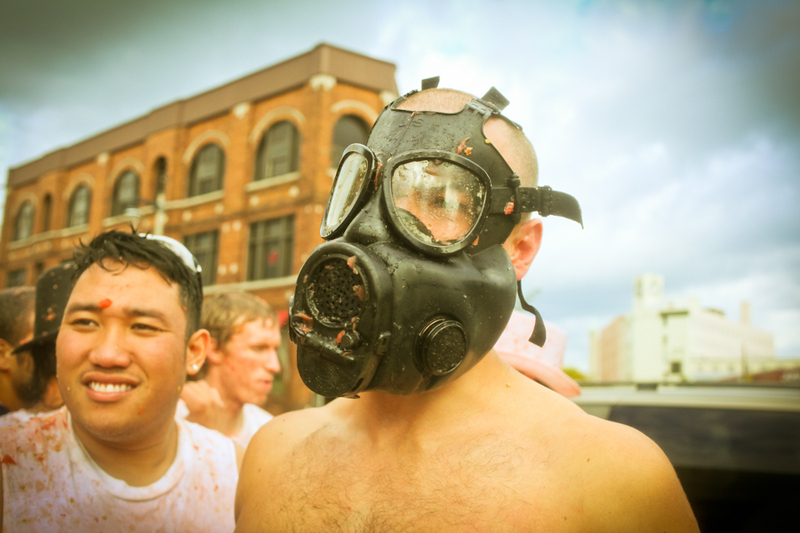 It's a two-part event, including a messy tomato fight and a neighborhood Bloody Mary competition, in which a dozen or more local bars participate. 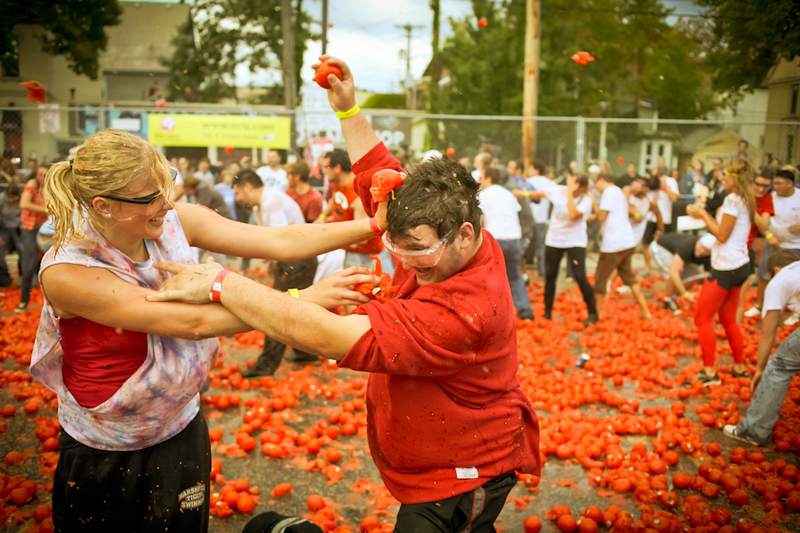 Somebody told me that it's the largest tomato fight in the contiguous 48 states. (I'm not sure if that means Alaska has a bigger one but i'm kind of doubting it.) I had the pleasure of creating a number of media pieces promoting this event. The poster, letterpressed by the always wonderful Steracle Press in Chicago, is one of my personal favorites. Although directing some frightened tomatoes ranks right up there as well. 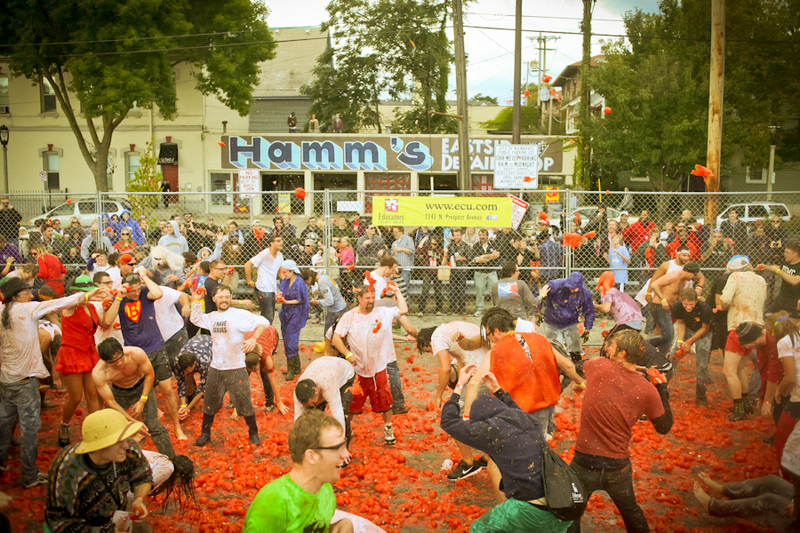 If you find yourself within a couple hundred miles of this tomato fight, you should make the trip. Posters & Coasters printed on Crane Lettra 110 lb. Hats off to Steve from Static Studios and Chris Thomson and Tom Blandford for channeling their inner tomatoes.